172 pages | 2 B/W Illus. 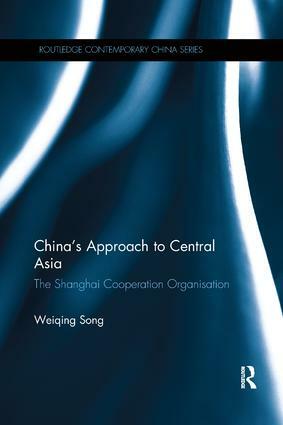 This book examines, comprehensively, the Shanghai Co-operation Organisation, the regional organisation which consists of China, Russia and most of the Central Asian countries. It charts the development of the Organisation from the establishment of its precursor, the Shanghai Five, in 1996, through its own foundation in 2001 to the present. It considers the foreign policy of China and of the other member states, showing how the interests and power of the member states determine the Organisation’s institutions, functional development and relations with non-members. It explores the Organisation’s activities in the fields of politics and security co-operation, economic and energy co-operation, and in culture and education, and concludes with a discussion of how the Organisation is likely to develop in future. Throughout, the book sets the Shanghai Co-operation Organisation in the context of China’s overall strategy towards Central Asia. Weiqing Song is an Associate Professor in the Department of Political Science at the University of Macau, China.